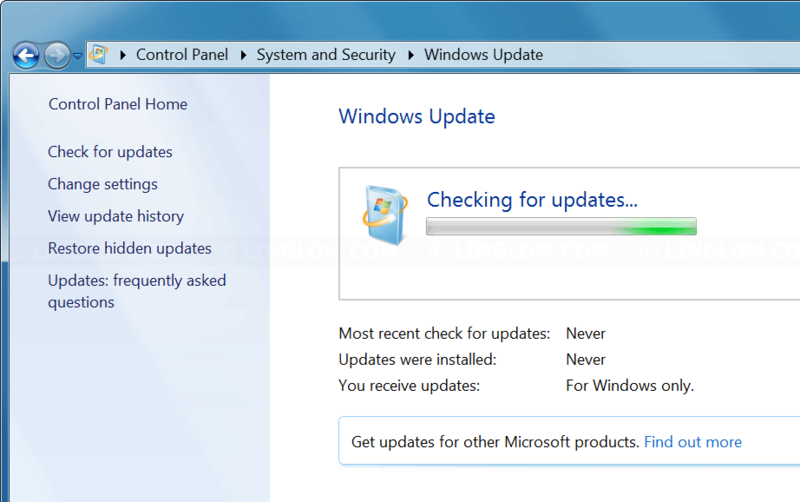 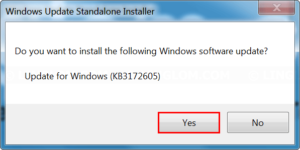 If you’ve installed fresh Windows 7 with service pack 1 and going update the system with Windows update, you may get stuck at checking for updates step unusually for a long time. 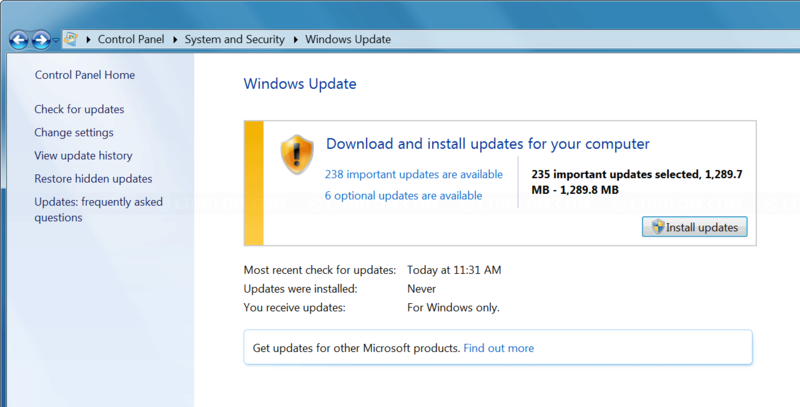 This could be an issue of Windows update service. 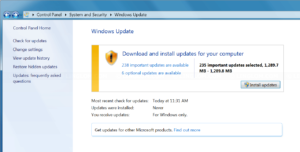 To fix the issue, you have to manually install some patch from Microsoft. 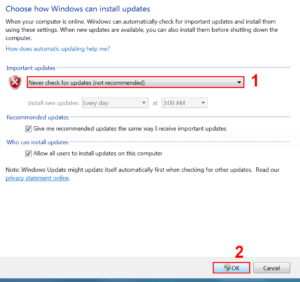 In this article, I will show how to fix problem when you get stuck at checking for updates on Windows 7. 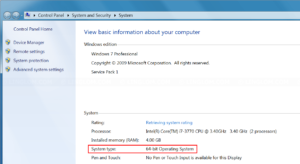 Determine if your Windows is 32-bit or 64-bit. 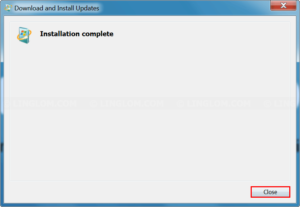 You will see version at System type. 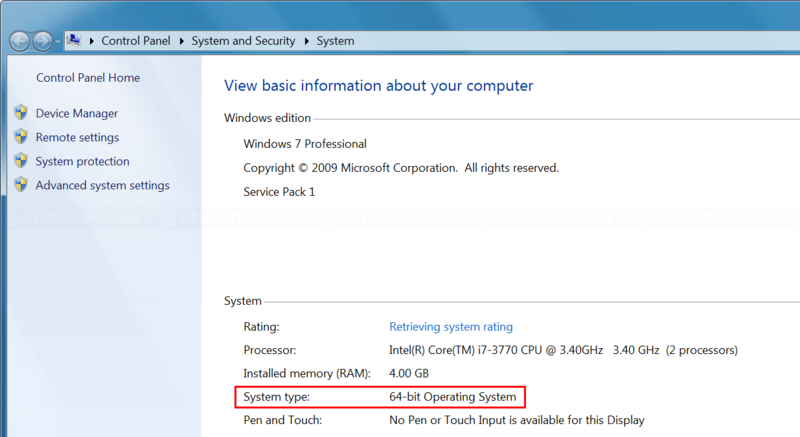 In this example, I have 64-bit version. 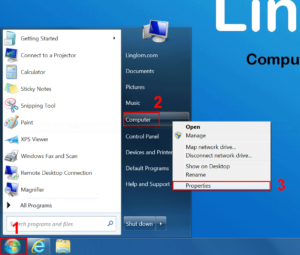 Open web browser to https://support.microsoft.com/en-us/kb/3200747. 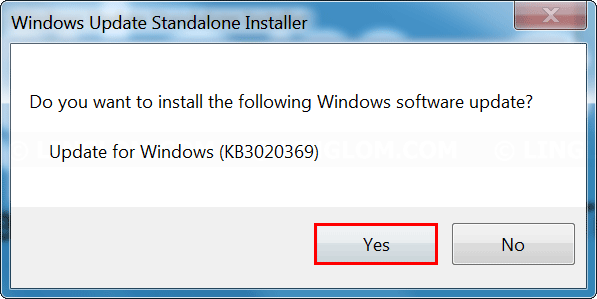 Scroll down to Resolution section and download KB3020369 and KB3172605 as according to your system version. 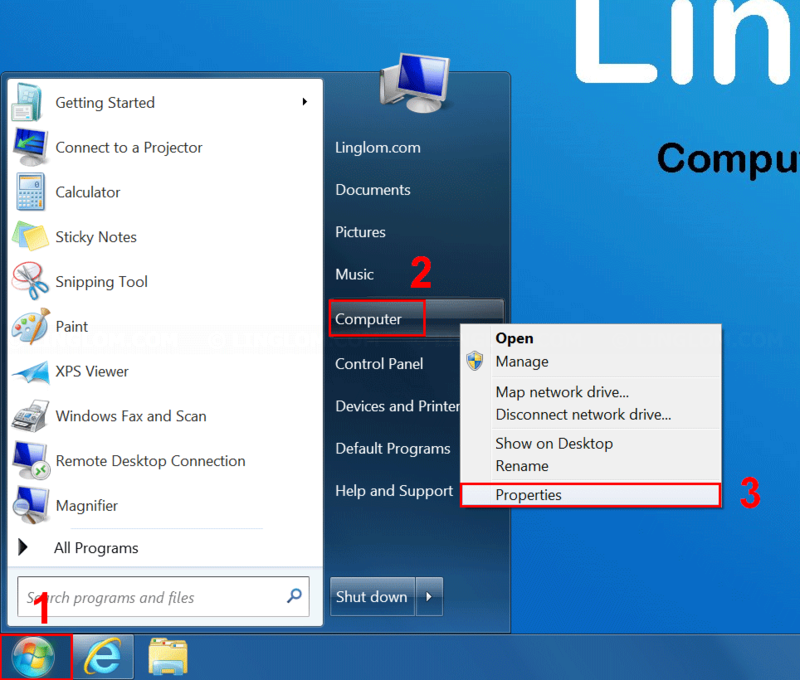 Click Change settings on the left menu. 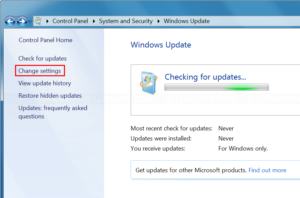 Change Important updates option to Never check for updates and click OK. 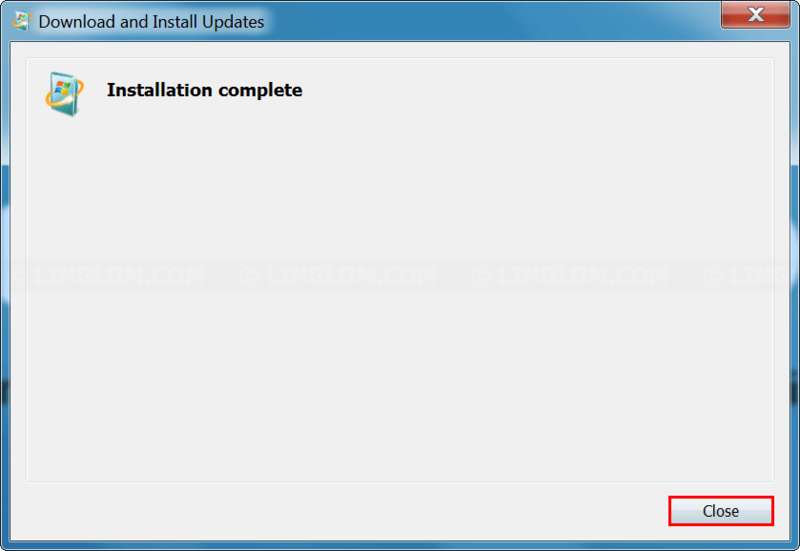 Note: If you’re trying to install the other update first, you will get an error message. 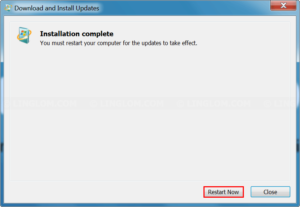 When finishes, click Restart Now. 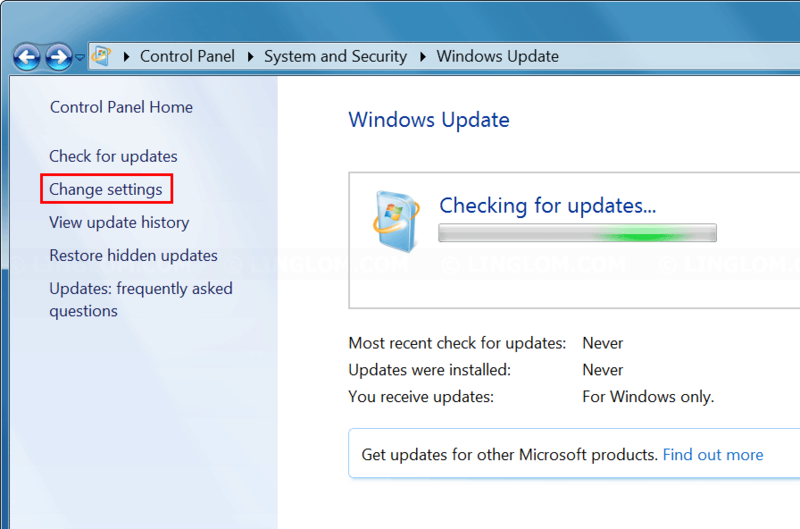 It may takes a few minutes to update your system. 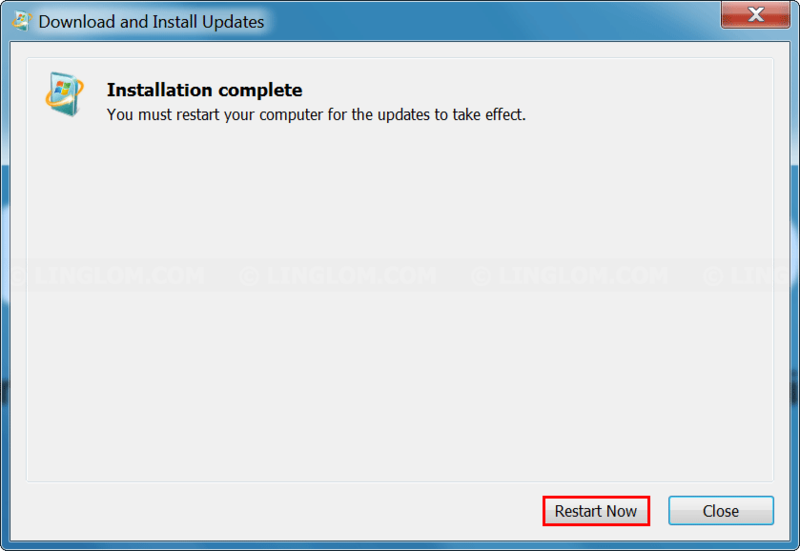 After that, open Change settings in Windows Update and change the option back to Install updates automatically or any option you want. 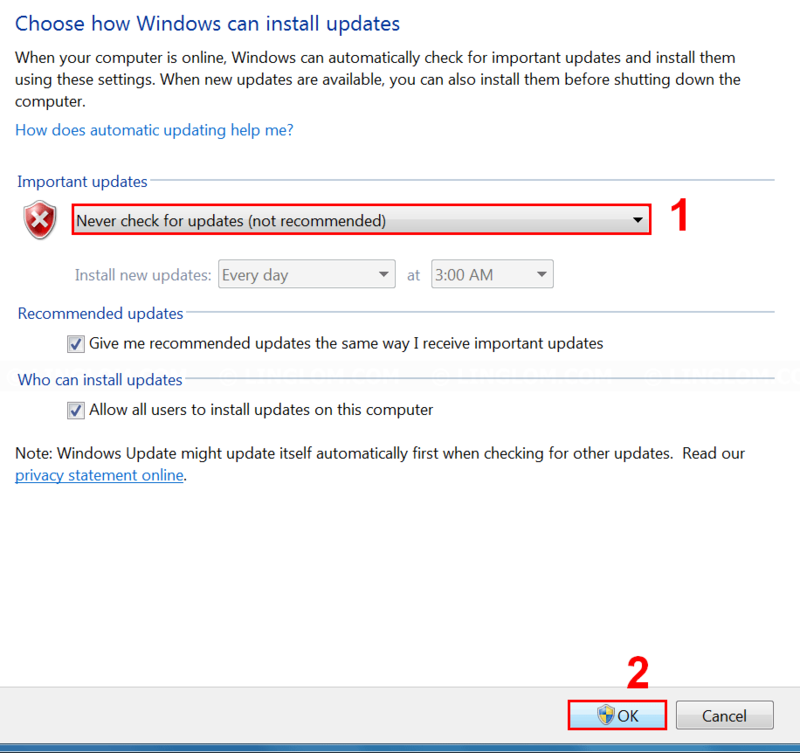 And click OK.
Back to Windows Update, click Check for updates on the left menu. 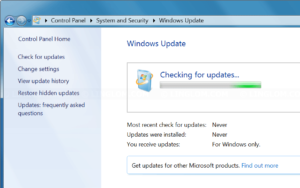 Now it only took about 5 minutes to check for updates and you can choose which updates you want install.